Top 20 DJ mistakes to avoid at all costs – Don’t hold yourself back! Digital vinyl system guide: Why you really need to get a DVS! If you're fed up with lame crowds that just won't dance this post will solve all of your problems. Today we're going to learn how to read the crowd so that all of your future sets will be a massive success! 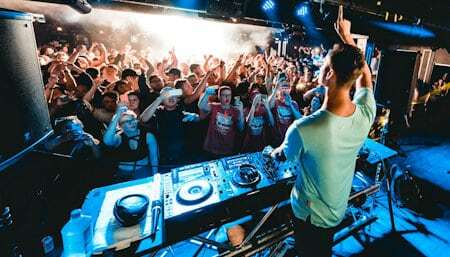 Whether you're playing out at a club, bar, festival, or as a mobile DJ, knowing how to read the crowd is one of the top skills needed for a successful set. If you get it wrong you will have people walking off the dance floor. You may even lose your slot at that specific club. If it keeps happening you could end up with a bad name for yourself, leading to nobody wanting to hire you. Get it right every time and you'll build a good following, and everybody will remember you. You'll have more work than you can handle. And your ability to get the crowd excited will be in demand. The term read the crowd basically means you know exactly what that specific crowd wants. You'll know exactly what music to play and you'll get on the same vibe as the crowd. You'll give them the time of their lives through the power of DJing and leave them wanting more. You should actually begin the process and start to read the crowd before you even get to the party. Sounds crazy right? But you need to know what music the venue is advertising on the night you're playing. This will obviously give you a good idea of the music taste of the people attending. You need to look at the time slot you are playing. Are you the first DJ of the night? Or do you follow a DJ that will end their set with some super upbeat tunes. If you're the first DJ to play then you'll need to slowly warm the crowd up. Don't expect everybody to walk into the club and immediately hit the dance floor. If you're playing a later time slot another DJ will warm up the crowd, so expect the dance floor to be full. You will need to continue the vibe where the last DJ left off and keep the crowd right where they are. When you get to the venue you should aim to get there at least 30 minutes early. Get straight into the DJ booth and read the crowd to see how they are reacting to the current DJ. If they are fully engaged in what this DJ is playing, this is exactly what you need to kick your set off with. You might see people walking off the dance floor, using their phones, looking bored and not dancing. If this is the case you know that you need to switch it up and bring something different than the current DJ. 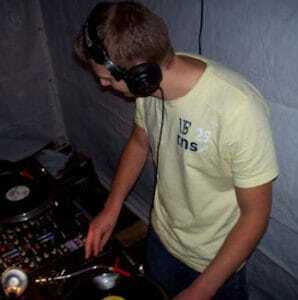 Work out what this DJ is doing wrong. Do you need to come on and raise the energy? Or do you need to bring the energy down a little? The time of the night could be a good indicator to the desired energy. If the DJ is playing intense bass heavy music too early in the night it could be the problem. You need to warm the crowd up slowly before you start playing this type of music, so just bring it down a little. Get there early enough and you should be able to work out the right way to take it before you even go on. When you drop your first tune read the crowd carefully. If you are the first DJ, aka the warm up DJ just remember that people don't tend to walk into a club and head straight for the dance floor. At this point an empty dance floor is perfectly normal. Most people will go straight to the bar and enjoy a drink or two before they even look at the dance floor. You can also learn how to read the crowd before it becomes a crowd! Do this by watching people to see what reaction they are having while they are sat at the bar. If you see heads nodding, positive body language and a lot of smiles this is usually good. If it's looking a bit miserable, try changing your selection until you see a few bodies moving. Remember, most people are quite intimidated by the dance floor and if nobody is there it's not always bad. People want to be there but they're just waiting for that one person to break the ice and get up there. These are problems you'll normally get in average sized clubs, but as the crowd size grows or shrinks things can totally change. Have a good selection of music to offer. I've seen beginners and experienced DJ's roll up to a club with a small selection of music, without any thought for what the crowd wants. They've walked away after 45 minutes with the whole club hating them. They fail because they haven't played the right music, because the crowd wasn't feeling it, and because they didn't know how to read the crowd and switch it up. In a club with any more than 1000 people the music gets dictated by how many people you have in the room. Certain types of music just won't work for over 2000 people. You'll need something a bit more heavy and a bit more dark to keep people jumping up and down a bit longer. But if you have a small party of 50 people you'll usually get people that just aren't into what you're playing. This can happen to mobile DJ's playing weddings or birthdays, and can be a tough situation to crack. Mobile DJ's should concentrate on popular and very familiar songs. The type of people at these parties aren't really there for the music. So they'll only really recognise familiar pop type songs and a few oldies. But people attending clubs will be more open to hearing music that they haven't yet discovered. There should always be familiar tracks in your set. But if you're playing at clubs you can get away with throwing in a few brand new tunes nobody has heard yet. Reading body language is super important when learning how to read the crowd. Once you have a good crowd in front of you take a good look at them. Are you playing to and old crowd or a young crowd? Are people in the crowd holding glow sticks looking ready to party all night? Or are they well dressed looking like they don't want to get a bit sweaty? These are all great indicators of what you need to play. And always check their faces to see what sort of mood they are in. Are they smiling and happy, or do they look like they're ready to break the mixer over your head? Are they reacting vocally, or mouths closed? By using this method you should be able to tell which way to take the next track to get the reaction you want. What if you can't read the crowd? Sometimes you'll get a crowd that doesn't give you any type of reaction, emotion, or participation. You'll be there playing away thinking that you're just not seeing the reaction that you want! So what do you do? Well as we've spoken about, you need to test different songs while you read the crowd to get the desired reaction. But you try this, and you still don't get a reaction! What? Do crowds really get that boring?? This is something that has happened to me, and even had it questioning whether I really knew how to read the crowd. But don't worry I do 😉 I just couldn't read this one crowd or figure out what I was doing wrong. And it's a bit mind boggling to say the least. I'll will switch the style about 6 times and continue to read the crowd. If I'm still getting no reaction after 6 different styles I make the assumption that this is just how the crowd is. Don't go on trying to work out what the crowd wants. As long as the dance floor is full you can carry on regardless. Once the set is over you can ask the bar staff, bouncers or owners to see if this is normal. This way you can make sure you didn't do anything wrong. You'll probably find out these clubs are always the same. You'll probably make the decision to not go back there again. After you master the ability of how to read the crowd, you need to realise that the crowd is also reading you. If the crowd see a boring DJ that doesn't take his eyes off the equipment this will rub off on them. A DJ that doesn't participate or interact with the crowd, or one that frowns and doesn't smile or dance is a boring DJ. To read the crowd, you need to be on the same level as the crowd. Look at them while throwing your hands in the air and they'll respond by doing the same. I've been in the crowd watching a boring DJ and it really does make you feel less enthusiastic. Even if the DJ is playing a perfect set, seeing them put in no effort with the crowd totally kills the vibe. Some DJs will have the opportunity to speak on the mic to hype up a crowd, especially mobile DJs. Learning different things to say to get a crowd excited before the gig can be useful, but don't overdo it. Make it short and to the point, and see how the crowd react to hearing you talk. Some people can get annoyed as they just want to hear the music, so don't force it. So again, read the crowd and if they give a bad reaction (like any of the reactions previously mentioned) then don't use the mic. It's also not a good thing to sing along to the music, do lots of shout outs, or to hand the mic over to somebody else. Learn how to read the crowd and become a master of it! Once you are able to read a crowd without thinking about it your sets will become much easier. To read the crowd means you are aware of everything. The club, the crowd and what they've came to hear... The DJs playing in the club, the music you have, and what you want to achieve... And putting in the same amount of effort as the crowd, to vibe on their level. Once you master this ability and can confidently read the crowd, you will be able to create different reactions and different moods amongst the crowd. Simply by selecting different records that evoke different feelings, you will be able to take the crowd on an emotional roller-coaster. You can also use a technique known as push and pull. You slowly build the crowd up before giving them a big tune that always goes off, just at the right time. Then you take it back down for a few of tunes, before building the crowd up again. People love this and it will really make people remember you and request that you play there again. Playing the perfect set to the perfect crowd is something that will happen to DJs that go the extra mile. DJs that do their homework and put in the effort to read their crowd. When it happens you'll know immediately, as the feeling is like no other. You'll be a true DJ that really cares about the audience, other DJs will look up to you and everyone will want to book you! 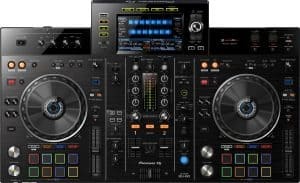 If you want to avoid making mistakes as a DJ so you can put on the best show possible, read this essential article > HERE. So there you have it, you can read this article over and over until you learn how to read the crowd without thinking even about it. Let me know how you do when you play at your next venue. Were you able to read the crowd? Did this make a difference to your set? And how will you progress in the future as a DJ that is mindful of the crowd? You can also add your own tips below if I missed any.